One of the most important ways of making decisions is based on how you feel. Of course making decisions only on how you feel can lead to a lot of bad decisions. 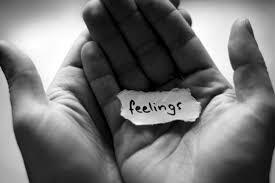 But remember, there is a difference (a huge difference) between acting on feelings and acting impulsively. Take a baby for example. If they’re hungry, wet, frightened, or grumpy you know it. They don’t think about it or weigh out the options, they simply and impulsively cry—it’s hardwired into us. That’s OK for a child (at least for a while) but eventually we all must learn to control our impulses and make decisions based on what is right in light of the bigger picture—no matter what we feel like doing. There are things going on around you and in you that are experienced at a “gut level”. You may not be able to put them into words but you just know that something should or should not be. Of course these visceral-level decisions can be wrong but they should not be ignored. God hardwired into us our feelings. They are emotional and spiritual “nerve endings” which guide us through life and to ignore them is paramount to putting your hand on a hot stove every day. You do this long enough and eventually you will destroy the nerve endings in your hand and will no longer feel the heat nor the pain. That’s a dangerous position to be in and I’m afraid there are far too many people already in that position emotionally and spiritually. They have push down their feelings, ignoring them day after day, to the point of feeling no more, and that is a sad and dangerous state to be in. Tags: Decision making, emotions, feelings. Bookmark the permalink.